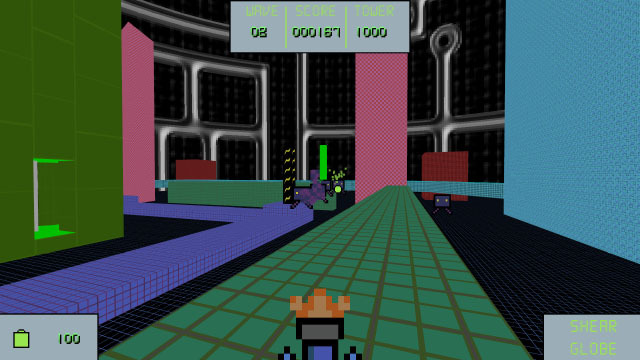 Cybershield is a retro-style first-person shooter, mashing together elements of normal FPS games, arcade shooters, and tower defence. It was made for the 2016 BCIT Game Jam with the theme “it seems old and wise” and was my first jam game. 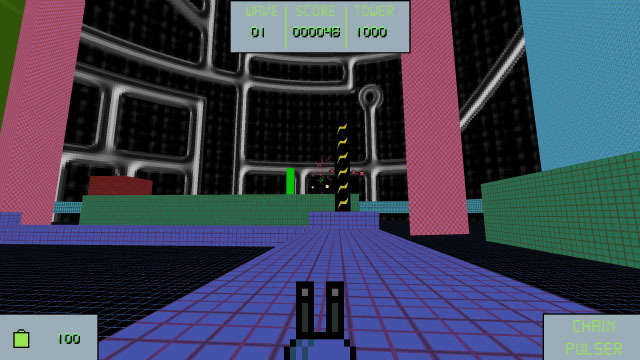 The game is set in cyberspace in a bad future, inspired by old movies with a retro “pixel-art and circuits” aesthetic. You play a “good” hacker who must defend a server- represented by a large tower- from malicious programs. The plot is not the focus, but rather the intense, wave-based gameplay. The first few waves are easy but they get progressively more difficult. Cybershield uses the GZDoom engine, and unusually for me most of the art is actually original (it even has some custom music and sounds). I challenged myself to build something gameplay-focused rather than story-focused, with plenty of replayability. I think I succeeded, but you can download and be the judge of that yourself.